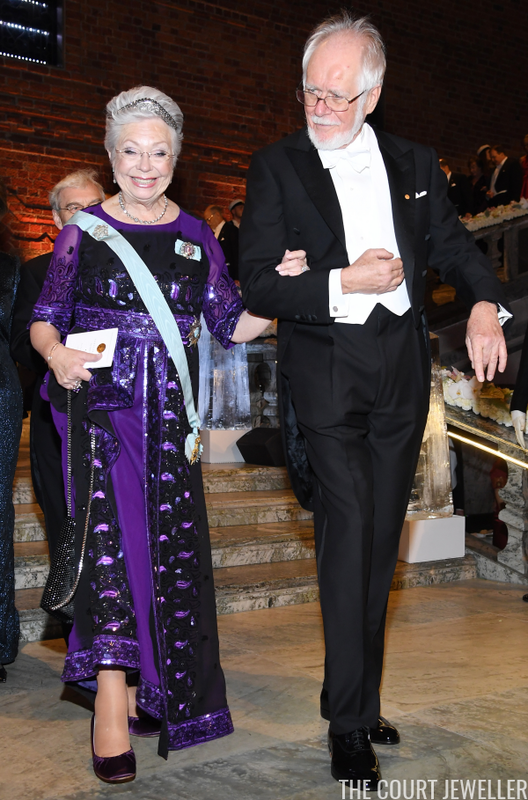 It was absolutely wonderful to see Princess Christina, who recently battled cancer, return to the spotlight at this year's Nobel festivities. Here's a look at the jewels she wore. 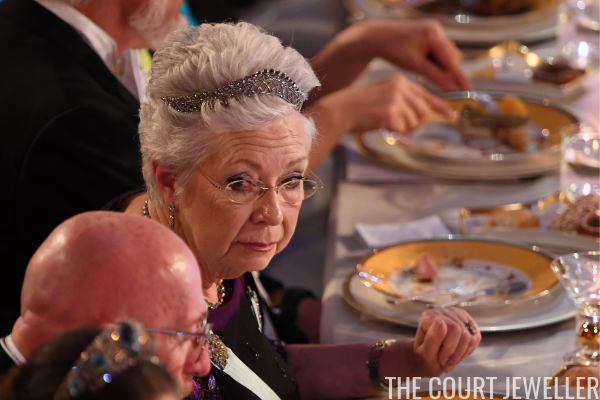 Christina wore the family's steel-cut bandeau, the smaller of the two steel-cut tiaras. 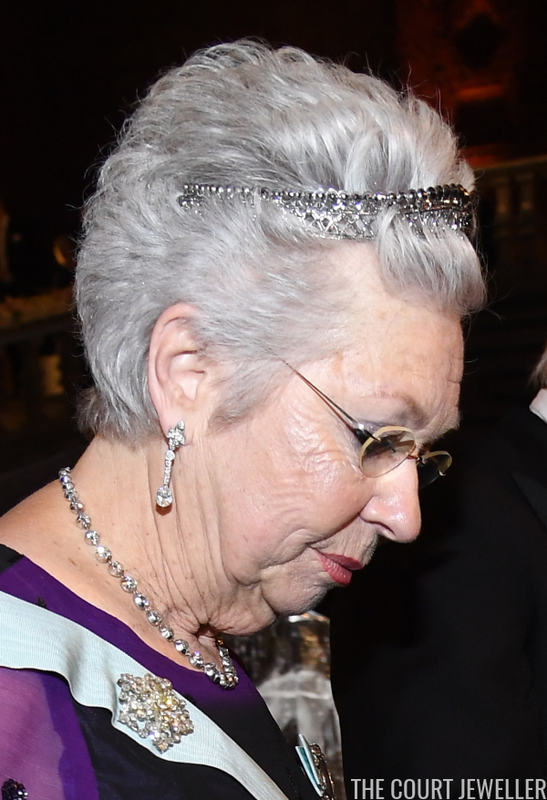 Princess Sofia wore the tiara at last year's Nobels. The tiara, which features polished steel in lieu of gemstones, was placed at the front Christina's short hair. In some photos, Christina's spiky white hair and the metal tiara give me an almost punk-like vibe. 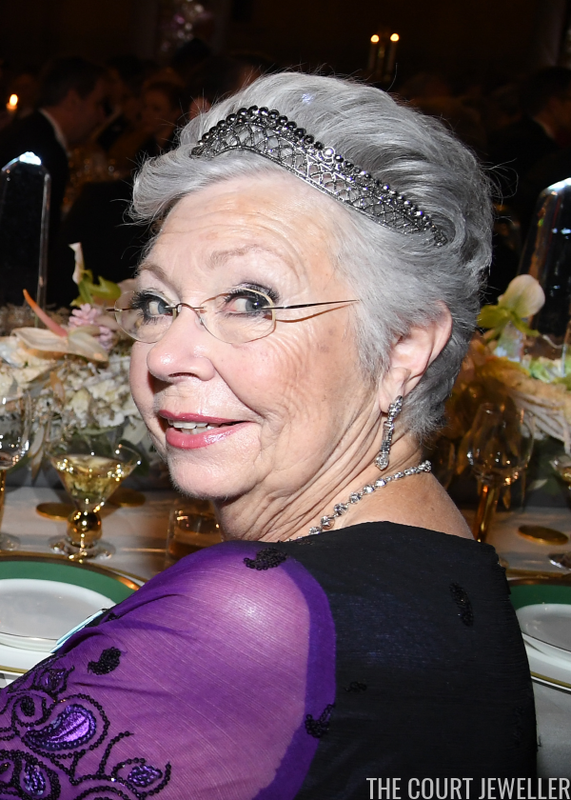 Christina paired the tiara with diamond pieces, including earrings and a diamond riviere. Here's a better look at the earrings in particular. Christina secured her order sash with a diamond brooch that she often wears on gala occasions. Here's a look at Christina's entire ensemble for Sunday's Nobel events. We didn't get any other great images of it, but there's definitely a fascinating cocktail-style ring on her right hand.